The Mountain gorillas are unique attractions quite endangered primate specie that only has traces in a few tropical rain forests of Equatorial Africa. In the recent decades there survival hit a threshold of extinction following rampant poaching, civil wars and high demands from illegal traders. Sincere gratitude to the legendary primatologists Dian Fossey (RIP 1985) and company for resilient drive on gorilla conservation backed by study, research and sensitizing the world on the protection of the gorillas against poachers and illegal traders. 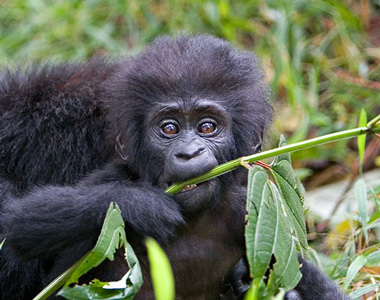 In this campaign Uganda, Rwanda and DR.Congo embraced the notion of conservation in Bwindi, Mgahinga, Volcanoes Np and Virunnga’s giving momentum to the gorilla population hence popularity of southwestern remote minute destination of Bwindi and Mgahinga with increasing interests from travelers all over the world coming for gorilla tracking or habituation. The population composition of gorillas in the recent census reported to have witnessed 830 mountain gorillas existing worldwide with prospects of increasing due to conservation efforts towards the endeared gorillas. In the census breakdown, Uganda takes the lead with the most number of gorillas totaling to approximately 480 individuals with seven habituated families in the small southwestern conservation area of Bwindi Impenetrable forest National Park of 321kms and others in Mgahinga. The reaming population is found in the Virunga Volcanoes Conservation area, which is shared between Uganda, Rwanda and Congo Democratic Republic. Rwanda’s Volcanoes National Park, starting from Ruhengeri. 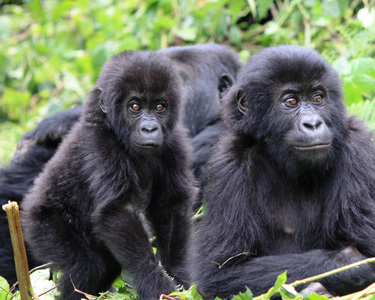 From the Congolese Virunga and Kahuzi-Biéga National Parks, there are about 9 families habituated and the tracking point can be reached from Kisoro in Uganda and from Gisenyi in Rwanda. To a luxury traveler and all safaris, gorilla tracking is an incredible encounter and a prime attraction in Uganda’s, Bwindi Impenetrable and Mgahinga National park, Rwanda’s Volcanoes, and DR.Congo. DEFN: Gorilla tracking is one time off experience that involves hiking elevated altitudes into the Jungles following specific trials and signals to find one of the gorilla family its natural habitat. The national authorities for the preservation of the national parks started to habituate some of the gorilla families, so that they could be familiarized to receive visitors as humans. This activity so called “gorilla tracking” must be booked long in advance to secure the individual permit. It is carried out in small groups of people, maximum of 8 per day per family of gorillas. This helps to safeguard and preserve the livelihood of the primates. Trekking starts early in the morning with briefing from the ranger guides on the Dos and Don’ts at the park headquarters /offices near the trail head in to the gorillas. In the process verification of permits against client name is done and later proceed by allocation of gorilla family where each accommodates only 08 persons. Clients head out to the trail head well equipped and are led into the thick jungles of Bwindi Impenetrable Forest NP to search the gorillas following trails. Along the way the ranger guides identifies lots of other attractions as birds, monkeys, rare plant species and reptiles which complements the tedious trekking prior to meeting the gorillas. When you meet the gorilla family you are advised to keep a distance of 8 metres with lowest communication tones as you enjoy the gentle giants. Gorilla habituation is adaption done by researchers training gorillas to get used to human presence in the wild harmoniously. The process is takes some time and is subject to delays in the initial stages as gorillas in the habituation process runaway into the jungles. 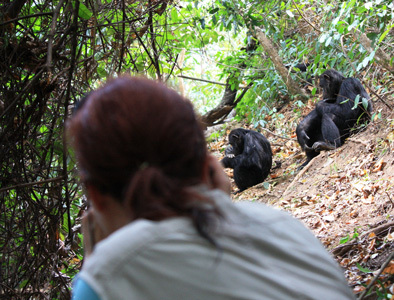 In the course of training, researchers visit a given gorilla group as Bushaho family alongside strangers to monitor behavior of members assigned a name until proved that all members are familiar to human presence. Gorilla habituation is done to tame the mountain gorillas to always remain humble whenever visitors trek into the forests to find them. The process of training is associated with business aspect referred to as “gorillas habituation experience” where visitors spend more time with the gorillas for maximum of four hours as researchers study the behavior of the gorillas. 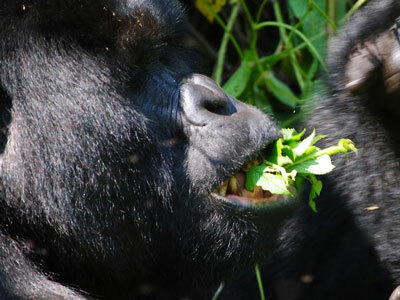 I know you gorilla permit is secured, to gorilla safari and trekking inside dense jungles of the mountainsoues tropical rain forests in Bwindi, Mgahinga or Volcanoes, you need to mark the following few points to a sucessful gorilas tracking and gorilla habituation experience. Gorilla tracking always focal point of interest for most travelers comming on safari to East Africa though quite a tideous engamgment. One requires some pyhsique to trek the hilly jungles thus not recommedned for faint hearted since gorilas reside in high altitude of about 2000 metres but lucky trekkers could encounter them at lower altitude. Tracking in the wild to search for the gorillas offers varring expereinces to different tourist, ie those that find the gorillas in within a shortest time tell their feel and expreince as an easy one as opposed to that may take about 5 hours, with slipperly terrains deep into the hills and mountains trails of any of the national parks where the gorillas are living. Never rely on any recent expereince, just wait for your turn to write your story since trekking to see the selected gorilla family cannot be predicted. Bwindi Impenetrable forest National Park and Mgahinga Mountain National Park are located in the patches of the equatotrial rain forests and uplands, therefore expect cold temperature in the early morning and evening and very humid climatic conditions. Rain in this area is frequent *and common all over the year. You may ask any question to the guides as they may arise but in most lowest tones so as to maintin harmony in the wildness as the guide will prepare you twards the approaching the gorillas. The ranger guides are always armed not for political resaons of insecurity but for safety of the clients incase of an attack from any animals where bullets are fired in the air to scare the attacking animals. After discovering the gorilas you spent a maximium of one hour, nevertheless gorillas may be agitated and may charge resulting into shorter visit, never insit to remain behind or run away to save your life. Mountain gorilla tracking in Bwindi Impenetrable with Destination Jungle may run between 1-5hours of trekking and hiking the sleeply slopes.Upon meeting the gorilas, people tracking spend an hour with the gorilas as you enjoy the alpha male (silver back) take control of the family while young ones play around with mothers where as gorilla habituation clients spend more time looking for the gorrilas and once found clients stay with the gorillas for 4 hours in the wild trying to monitor their behaviours. Tracking in permits upto 08 eliglble persons per gorilla family per day for an hour and can take place in areas of the park while gorilla habituation permits only a 4 persons per gorilla family perday happenning to wild gorillas. Tracking happens to only habituated gorilla families that are familair to human presence without any change of behavoiur or daily routine in the wildnerness wheres, gorilla habiotuation occurs to wild gorillas in the process of trainning to become accommodative to human presence and in the some instances moods may change and gorillas disappear or get nevourse to human. Gorilla tracking takes place under guidance of a ranger/ guides with a few porters if any and happens all over the park sectors. On the contrally, gorilla habituation only happens under the master brain of researchers and trainned rangers to monitor ansd handle gorilla behavoiurs exclusily done in the Rushaga sector of Bwindi on families of Biking and Bushaho. Gorilla tracking only permits adults from the age of 15 years until that age of about 70+ for those that really hike up the steep slopes with a lot of zeal thus excluding minors/young people and elderly who are faint hearted. Regarding healthy measures against any risks, sickly/ ill clients are not allowed to track and clients are advised to volunteer and remain behind as an alternative tracking or refund may be done. While as you move into the forest, you are advised to wash hands before you head out to the gorillas hence reducing the risk of their exposure to human-borne diseases. You are required to carry enough drinking water and parked lunch, however it’s not a guarantee to promote dumping. Littering is prohibited and every item that is not part of nature is carried back out of the habitat for the gorillas. Noise making is not allowed as it scares away other attractions as bird and other wildlife more so the gorillas get irritated to charge or run away into hiding. Eating drinking or smoking is regarded unethical in the forests near the gorillas, related no one is expected to feed or throw edible foodstuffs to the gorillas or along the trails as droppings of food could be contaminated to infect the gorillas with disease or react in bid to get possession of the food. Avoid direct eye contact with the gorillas, and never attempt to touch them when they get close to you since they are wild. More so never attempt to run away as this increases the risk of agitation to the mountain gorillas. Keeping a recommended distance of 21 feet should be observed at all times from the gorillas to make them feel comfortable. Relatedly scattering to surround the gorilla family may reduce visit to see the gorillas therefore you urged to keep in a line or a group as the guide may advise not to stress the gorillas. Bright clothing are center of attraction to the gorillas and flashy photography is not permitted as they also build distress to the gorillas in the wild. Thus required to put on dull colored clothing and recommend 400-800 ASA photographic cameras into the jungle. If anyone has the urge to cough or sneeze, you are advised to turn away from the direction of the gorillas before the reflex actions happens and in the event that you feel the urge to ease inform the ranger/guide to drill a sizeable hole of up to 30metres to cover the waste in the wildness. Note: Mountain gorillas are vulnerable to infection and agitated by crowds therefore rules are ways to minimize the risk they result from Ignorance of the visitors. In terms of dress code, you are advised to bring long sleeved top (Shirt/blouse), flexible pair of trousers, with comfortable trekking boots/shoes reliable for slippery slopes. Hand gloves are vital in protecting you against harm from thorny plants itchy climbing lianas in case you need more support to supplement the trekking sticks. You may carry a hut for your head against any sun and jungle shrubs that may harm you as you trek into the forests. Repellants against, sun, insect bites or itchy bushes may be applied as you head to the forest to prevent any attack from insects, direct sun radiations or infections from jungle allergies. Trekking sticks are supplied at trail heads but if comfortable, you may carry own supporting sticks during the tracking. You may carry rain jacket or coat to as temperatures drop below 10 degrees while the weather is un predictable with abrupt rains but later sun appears. You are advised to carry packed lunch with enough drinking water to refresh as you need more energy to trek the ragged jungle. Non flashy film cameras of 400-800 ASA are recommended for your jungle to capture shots and video clips in to save the memories. A pair of binoculars is worth carrying on this expedition as along the trails you may encounter lots of birds over 370 bird species that need focus for a clear view.